The Rising Star Music Fund and Belmont University’s School of Music have partnered to create the Rising Star Choir of Nashville, a free community choir for children with developmental disabilities. 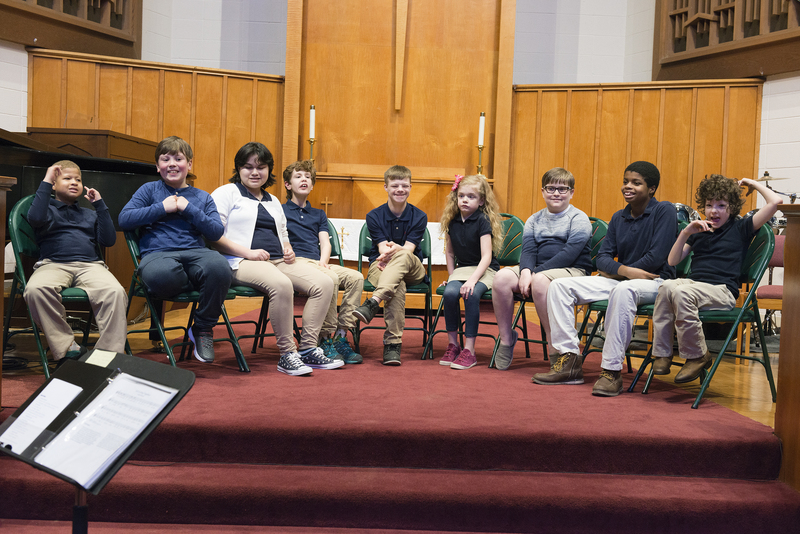 The goal of the choir, which is an initiative of Belmont’s music therapy program, is to provide a successful choral singing experience for children with autism and other developmental disabilities between the ages of 7 and 18. The choir provides opportunities for music learning, performance and camaraderie among children of all abilities and disabilities. The Choir will host this year’s Open House and Registration will be held on August 26 from 2 – 3:30 p.m. in Belmont’s Massey Performing Arts Center, Room 12. The event will allow interested families to view the facility, sing songs and meet Choir leaders. Regularly scheduled practices will begin on September 9 and will continue every Sunday from 2 – 3:45 p.m. through November 18. Children aged 7-11 will meet from 2-2:45 and children aged 12-18 will meet from 3-3:45 p.m. All practices are held in Massey, Room 12. There are no auditions required for participation, and each age group accepts 10-15 children on a first come, first served basis. Not just a ‘singing’ choir, the Rising Star’s music program consists of music therapy techniques that include all children in the music making process. Nashville Music Therapist, Carrie Friddell, MT-BC, has directed the choir since its beginning and brings her experience as a private practice music therapist to the group. She works to meet the children where they are and adapts the music to create a consistent effort of all member’s abilities. Music Therapy students at Belmont are also involved each semester as they have the opportunity to work alongside the Choir. For additional information on the Rising Star Choir, contact risingstarchoirnashville@gmail.com.